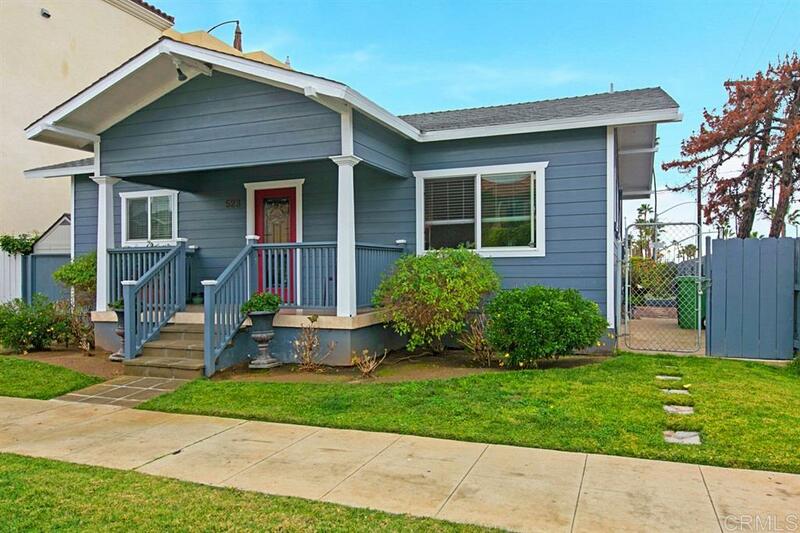 Excellent opportunity to own this beautiful craftsman style beach bungalow only 4 blocks from beach! The backyard has wonderful mature landscape w/ over-sized deck & ocean views! Fully fenced w/ RV parking & 5 other spaces. Inside features include full size kitchen & pantry, dining area, upgraded flooring & lighting, 2 baths that have been remodeled w/shower/tub & laundry room inside. The land is zoned commercial/residential & potential to build 3 story 3 unit property just like the neighbor! Must See! !